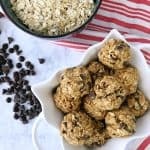 Can you imagine one cookbook that not only contained delicious recipes for a newly pregnant mom but also would go with you through the picky toddler years? 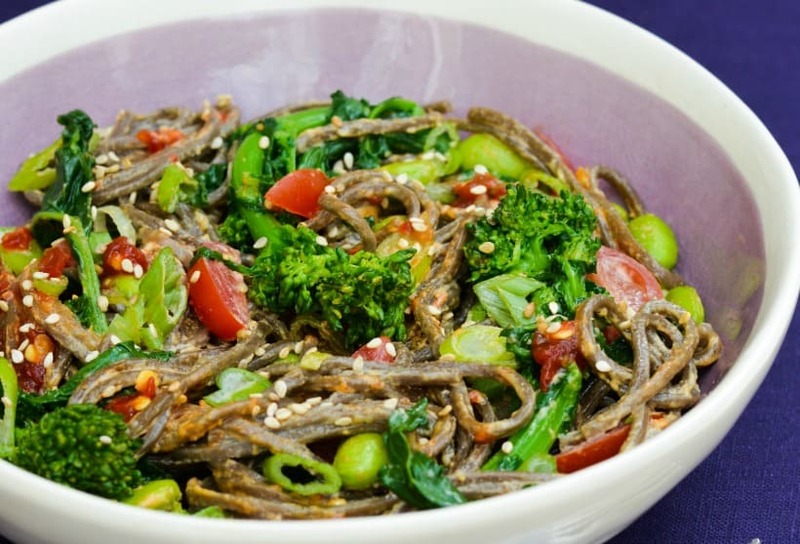 And when I say delicious, I mean things like this Broccoli Rabe Soba Noodle Bowl Recipe. The Ultimate New Mom’s Cookbook is a cookbook designed to be a guide to navigating this new world of prenatal nutrition, baby purees, and picky eaters. 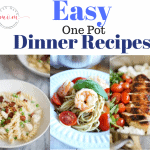 It is full of wholesome, satisfying recipes for every stage from the first day of your pregnancy to those tricky toddler years. What I love is this book will help ease your transition into parenthood and sets the foundation for your child to be a healthy and adventurous eater. 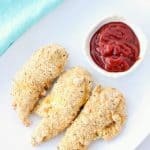 Chef Aurora Satler and nutritionist Allison Childress anticipate your every new-parent need, with recipes for stocking your freezer for those first days home from the hospital, nutritious foods mom should eat while nursing and methods for introducing your child to new flavors and food textures. 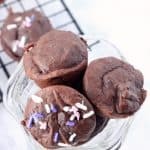 These recipes not only are delicious but are designed to help new moms. For example, the Tropical Tummy Mango Faux-’Jito will soothe an upset stomach and satisfy intense pregnancy cravings. As your baby transitions to solids, nutrient-packed purees can be easily whipped up and repurposed into flavorful meals the whole family will enjoy, like Southwest Sweet Potato Cakes and Black Bean Salsa Fresca. This essential manual will nourish your baby from the first day of your pregnancy through the toddler years. 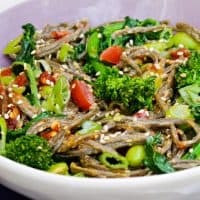 The Broccoli Rabe Soba Noodle Bowl Recipe was designed to keep your energy up for sleepless nights filled with feedings. This is an energy-packed lunch that tastes yummy, looks pretty and is definitely picture worthy…go you! Bonus with kids is that noodles are fun so they can double as an activity, although my little man just slings them. Bonus for parents, you pop this in a bowl and it’ll give you the energy you need to do what you do well! In a large sauté pan, add in sesame oil and cook broccoli rabe stems and florets on high. Cook the stems and florets first, working your way from the base to the leaves, which take less time. Once the stems have softened (about 4 minutes) add in the tender leaves and cook for another minute, stirring constantly to make sure the leaves reach the bottom of the pan. Season with salt and pepper and remove to a large bowl. In the same sauté pan, cook frozen edamame with 1 tablespoon of water until warmed and water evaporates (1-2 minutes). Remove edamame to the bowl with broccoli rabe. Add grape tomatoes and scallions to the bowl as well. Cook soba noodles according to package directions (basically boil 4-5 mi). Meanwhile in a small bowl, whisk sauce ingredients together. Drain cooked soba noodles, and rinse with cold water to prevent noodles from sticking. Drain again then and toss in your large sauté pan with tahini sauce. 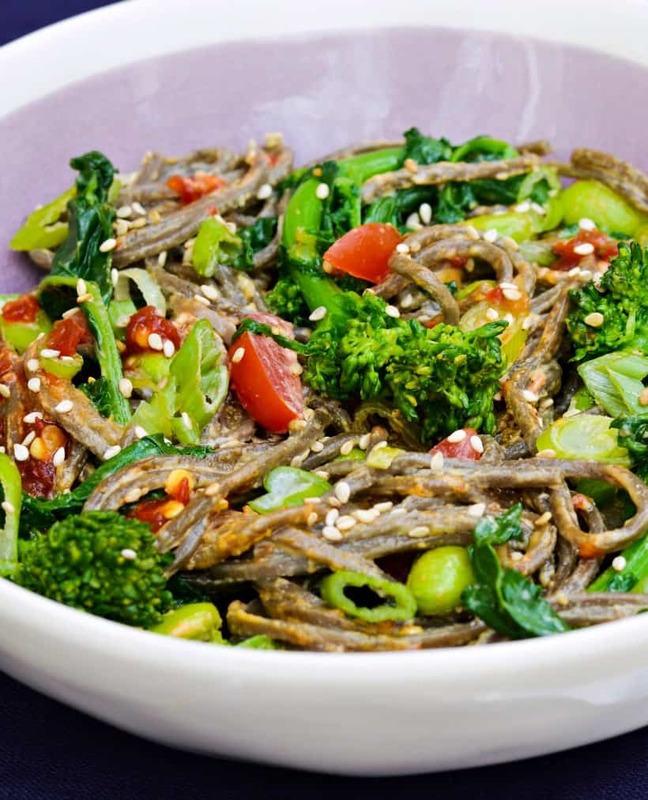 Add your dressed soba noodles to the bowl with your broccoli rabe and other ingredients. Toss until well mixed and serve just warm, garnished with sesame seeds. Note: going gluten free? Sub rice noodles for the soba noodles and coconut aminos for the soy sauce! One lucky reader will win a copy of The Ultimate New Mom’s Cookbook. Use the simple form to enter. « Free Date Night Ideas Printable + Why You Should Date Your Spouse! My mom’s tuna casserole recipe definitely has been getting a lot of use this last year as a new mom, it’s flexible timewise, and also fast and tasty!! What a wonderful idea for a cookbook!! One of my good friends is going to be a new mom soon and I’m dying to get her this! Such a great idea! I would gift this helpful cookbook to my daughter, her youngest of 4 just turned 4 months. I love the recipe you have posted. Looks so delicious. I want to try it. Broccoli is one of my favorite food to cook with. Southwest Sweet Potato Cakes and Black Bean Salsa Fresca.